LazerArc Rotary Index Table successfully integrated with current robot system used for painting in order to expand functions and usefulness. 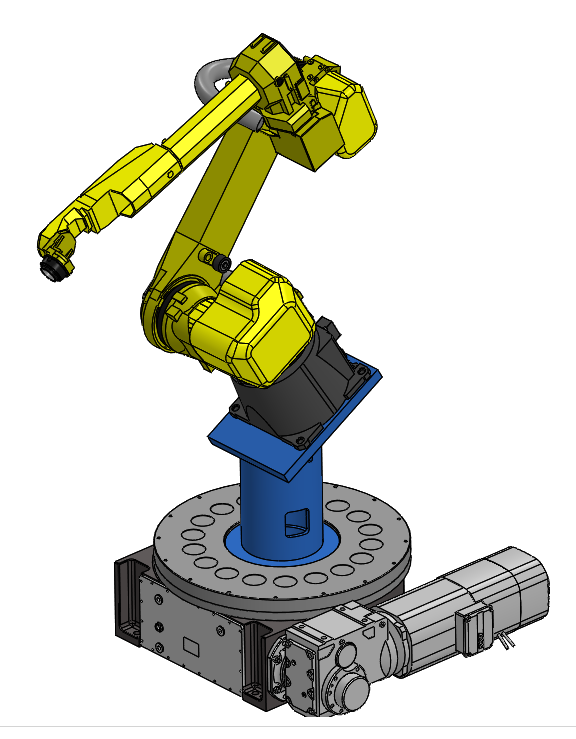 LazerArc Rotary Index Drives are customizable for integration with a currently installed robotic system for a wide range of manufacturing applications. 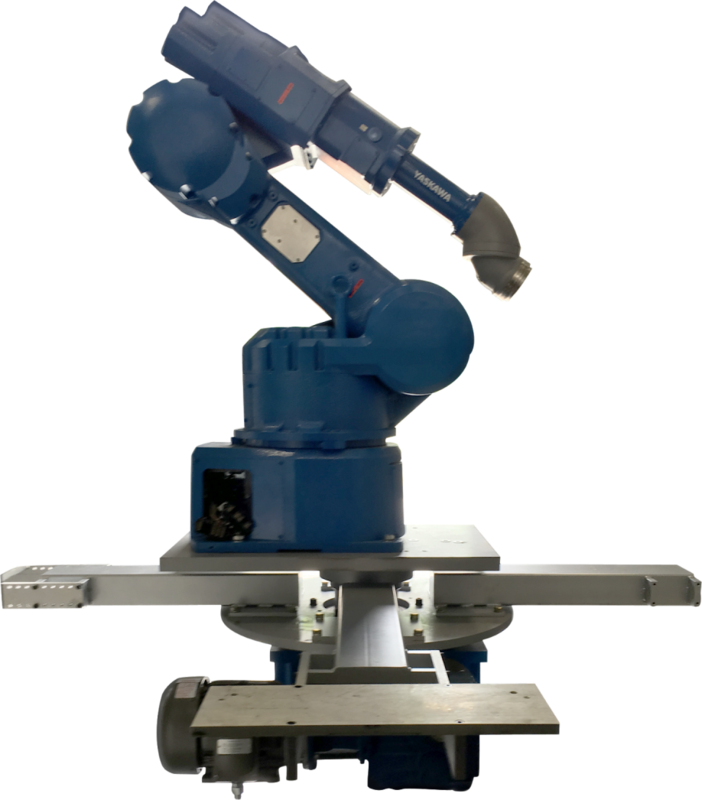 Rotary index drives provide manufacturers with fast and highly repeatable positions for their robots. These systems are also capable of adding a variety of assembly and inspection processes to existing systems. More importantly, to reduce cost, rotary index drives allows manufacturers to eliminate machine switchovers. Recently, LazerArc was given the opportunity to custom design a standard RT400/4/300 rotary index drive with an integrated robot base for a spray (paint) process in an explosion-proof environment. One benefit of the LazerArc design includes not having to relocate or reprogram the robot since they are all one piece---controlled by a simple open loop VFD controller and explosion proof AC motor. 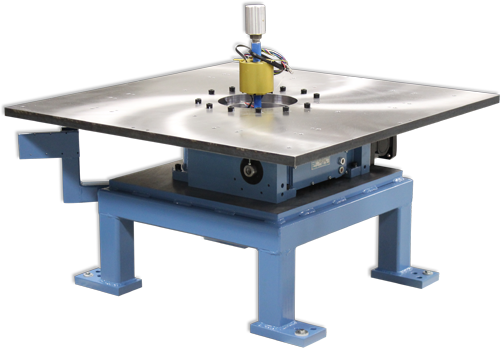 In addition, LazerArc provides customers with custom rotary index tables set up to match the specific robots and controls used on the production line. Having the output dial mounted to a high precision four-point contact bearing assembly and pre-loaded to eliminate run out. The seal is designed to eliminate damage from environmental conditions found in manufacturing such as dust, sand, and fluids. 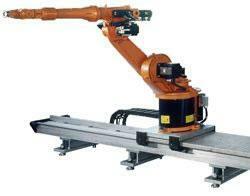 The entire line of LazerArc’s Rotary Index Tables for robotics is maintenance and wear free. The mathematical laws of motion are applied to create a soft, smooth, zero-impact movement that can be customized to any robotic system for a wide range of applications. This design and construction results in zero-backlash positioning and a positive fit of the output flange. 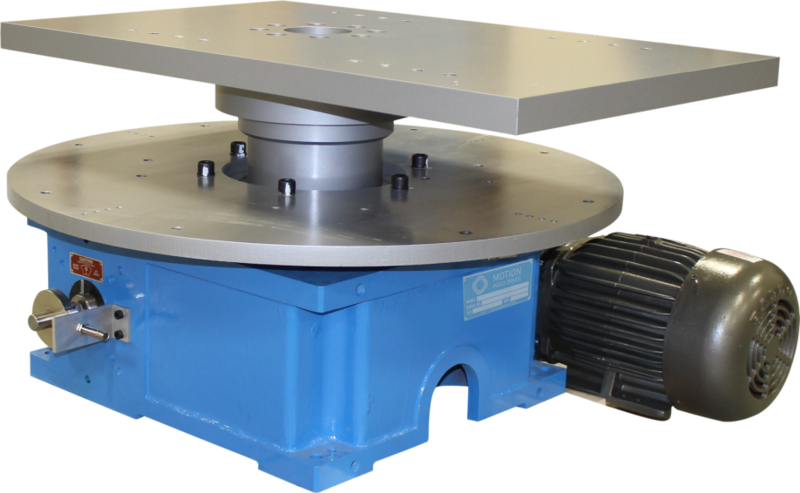 Our LazerArc Rotary Indexers Tables have operated in various industries, sometimes running 15 years or more, without having one minute of downtime resulting from any type of equipment failure. LazerArc designs every product with special attention to safety, quality, versatility and value to ensure longevity and worry-free operation for many years to come.